Most modern residential garage doors are made from steel. This is the material used for making the hardware parts too. Manufacturers today do not use traditional steel, however, as it is prone to rust and corrosion. They make the panels and hardware from galvanized steel. This steel has been dipped into hot molten zinc during the manufacturing process. As a result, it has received protective layer which prevents the core from getting into contact with air and water responsible for causing rust and corrosion. Why does the door need protection then? While the coating can stop the elements from causing damage to components like lift cables, it is not resistant to certain chemical compounds which may get into contact with it. That is why it has to be safeguarded from them. A coat of paint will give the panels a tough finish and will make them even more resistant to rust as well as to other types of damage such as scratching and denting. 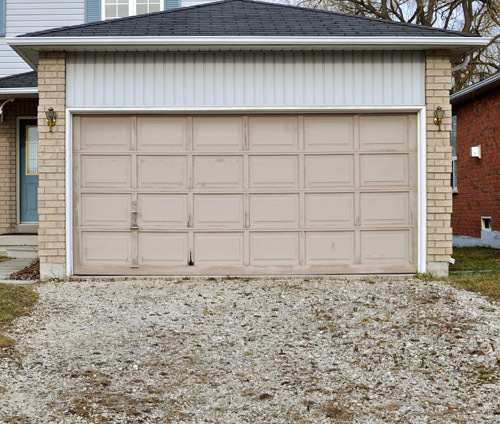 Repainting should be part of the regular garage door maintenance, to ensure that the unit will remain in good condition for long years to come. The next really important thing is to use only driveway and garage floor cleaners which are safe for galvanized steel. This may seem like a bit of nuisance when you go shopping for this kind of product, but it is actually extremely important. The wrong kind of cleaner can cause major damage to the tracks and cables. If any road salt is brought into the garage, the floor should be cleaned right away as this compound can easily damage even galvanized steel.